Join us for great networking opportunites at CHUG Fall 2017! Provider burnout is at an all-time high. Two thirds of family physicians report at least one element of burnout. Some specialties suffer higher burnout rates than others. Many factors contribute including growing regulatory pressures, inefficient EHRs, emphasis on RVUs, poor workflows, and work-life imbalance. Dr. Steven Waldren, Director of the Alliance for eHealth Innovation of the American Academy of Family Physicians will discuss the impact of burnout on healthcare providers and ways to avoid it. We will then have an open forum with GE Healthcare exploring how Centricity can assist providers to lessen the burden of EHRs on burnout. JOIN US FOR OUR CHUG PARADE! This year our offsite party will be Friday, October 27th from 6:30PM – 9:30PM at the Chicory. We will be having a Second Line Parade starting at the Sheraton and walking over to the Chicory. The parade will leave the hotel at 6:15PM so meet us in the lobby at 6:00 PM to begin the parade! See you there! 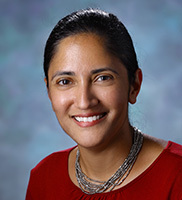 Dr. Kavita Patel is a Nonresident Senior Fellow at the Brookings Institution and a co-founder of Tuple Health, a physician led company focused on practical clinical solutions to bring care back to health as well as a practicing primary care physician at Johns Hopkins Medicine. In her role at the Brookings Institution, Dr. Patel was instrumental in the development of several specialty payment models including the Oncology Care Model Initiative and the Next Generation ACO model. Dr. Patel was previously a Director of Policy for The White House under President Obama and a senior advisor to the late Senator Edward Kennedy. Her prior research in healthcare quality and community approaches to mental illness have earned national recognition and she has published numerous papers and book chapters on healthcare reform and health policy. She has testified before Congress several times and she is a frequent guest expert on NPR, CBS, NBC and MSNBC as well as serving on the editorial board of the journal Health Affairs. Be the leader your employees want to follow. A leader steps up in time of crisis and is able to think and act creatively in challenging situations, to inspire staff to perform and engage in achieving common goals. It’s about knowing your team, having a shared vision and setting staff up for success. To survive in this complex, ever changing market requires a strong, passionate and innovative team. Most of us are drawn to a career in healthcare seeking an opportunity to serve and care for others. Unfortunately, ours is a stressful profession often associated with high rates of burnout and distress. We’ll explore the impact on burnout on the quality of care we provide and explore ways to restore joy in our work life. Share ideas and methods to restore joy in our work environment. This interactive session demonstrates tools and methodologies that will provide an effective strategy to utilize your organization’s existing talent. You will learn ways to create a customizable approach to effectively engage your workforce, elevate their productivity and transform them into high performing teams. Walk away with a deeper understanding of how to improve workforce efficiency, productivity, and morale. Given the numerous changes in the healthcare environment, leadership has never been more important. During this session will discuss how to lead through change, empower and energize employees and deliver outcomes. Additionally, we will deep dive 5 strategic imperatives that put people first. EARN UP TO 11 NURSING EDUCATION CREDITS AT CHUG FALL 2017! At CHUG, you’ll be able to earn up to 11.0 contact hours! Activity Number: 1214 Working with Southern NH AHEC, an Approved Provider of continuing nursing education by the Northeast Multistate Division (NE-MSD), an accredited approver of continuing nursing education by the American Nurses Credentialing Center’s Commission on Accreditation, CHUG is excited to be able to offer this additional educational opportunity to our membership. What’s at CHUG Fall 2017? “Pass a Good Time” at CHUG Fall 2017! Healthcare organizations are confronting considerable changes in the journey of transformation. As we move along this path you will not want to miss “Quality is the New Currency”! Join us as we discuss and give you the tools, to become successful in your transition towards value based care. Let us help you navigate and understand the role of data in improvement and quality care. We will also be introducing exciting new leadership and teamwork resources this Fall! Be the leader your employees want to follow. Be the leader your employees want to follow. A leader steps up in time of crisis and is able to think and act creatively in challenging situations, to inspire staff to perform and engage in achieving common goals. It’s about knowing your team, having a shared vision, and setting up staff for success. To survive in this complex, ever changing market requires a strong, passionate and innovative team. Here’s a sample of the sessions being presented this year! See you in New Orleans!